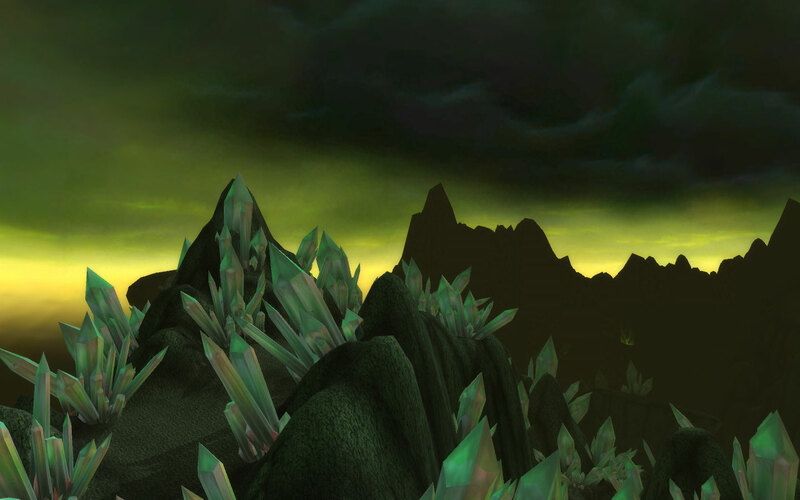 This week we see a view of Netherwing Ledge in Shadowmoon Valley. Anyone doing the Netherwing dailies will see a lot of this place, and even though it’s beautiful it will get old really fast. It’s nice to see it after not having been there for a while and appreciate the scenery. In a persistent world like a MMO, sometimes it’s hard for an individual to see what kind of difference they make in the grand scheme of things. Sure, through the years you have done a bunch of neat things like behead Nefarian a number of times (yet he’s still back, head intact), kill Illidan the Betrayer, and Arthas the Lich King – the grand poobah of evil. But, what did your character exactly accomplish? Canonically, Tirion killed Arthas with help from a group of adventurers. Maiev and Akama killed Illidan with help from a group of adventurers. Nefarian is somehow alive and ready to be killed again. While your character does help these people out, so does everyone else who has completed these raid encounters. It almost gives a feeling of apathy, since people do like to see their accomplishments and feel proud about them. I believe that this is one reason why the Achievement system was implemented. I’m sure that Blizzard saw the success of the idea on Xbox Live and Steam, and thought that it would be a great way for people to become more personally invested in the game. Whereas before it was there, why would anyone want to do something out of the ordinary like kill 20 turkeys in under a minute? With achievements, people know what your character has accomplished. My druid can say he’s killed Arthas, plus he has the achievement to back up that claim. Along with the claims of demise of various raid bosses, it also allows rewards for doing things out of the ordinary – the basis of every tier of raiding having a mount reward. Why in the world would you try to defeat Yogg-Saron with only one of the watchers helping unless there was something in it for you? In 4.2, there will be a new personal progress in the new Firelands daily quest area. Similar to the Isle of Quel’danas, by doing a number of daily quests and completing goals set out for you, the player will see personalized progress of the area being healed from Ragnaros’ invasion. This is the epitome of making the work your character does over a long period of time actually count towards something. You may be the only one able to see it, but that’s not a bad thing. This is truly personal progression. With Quel’Danas (and to an extent, the preparations for the opening of Ahn’Qiraj), it was server-based and once again your personal contributions could be seen as not being too much. One person who is just starting will see a seed being planted for a tree, someone who has completed everything will see a massive tree and the area starting to be healed. Along with this, there is a tremendous amount of single-player content that will keep people busy for a long time. Over 60 daily quests will be available in a random pool, I’m assuming similar to Tol Barad, which will give certain quests per day. At the completion of the area, a new flying mount will be available – the Flameward Hippogryph. Basically, this is like the Argent Tournament but a whole lot better and giving better rewards. Apart from the nerfs to Boomkins, I’m quite looking forward to 4.2. I’m very happy that Blizzard is giving us so much information so shortly after the release of 4.1. It’s time for me to add to the growing group of voices in the blogosphere in regards to the upcoming change to the Looking for Dungeon group tool in 4.1 and the addition of the “Call to Arms” feature. There has been a number of posts regarding this issue, and a number of different opinions about it. From all the posts I’ve read and podcasts listened to, it seems people are pretty much split down the middle. When the announcement first came out from Blizzard that they were adding in the “Call to Arms” feature for the LFD tool in 4.1, I have to admit I was a bit surprised that they would make such a move. Since the tool first came out in Wrath, there have been average wait times depending on your class. DPS players have long queues, healers are medium to short, and tanks are extremely short or instant. People (mainly DPS – including myself) have complained about the wait times, but nobody has had any ideas of how to fix it. Enter Call to Arms. Basically, this feature adds an incentive for a player to queue as one of the roles that is lacking in the LFD tool at the time to help speed things up. Lots of healers and DPS in the queue but lacking tanks? The system will add CtA for tanks, and give that person an extra reward after a successful dungeon run. Basically, it’s a new version of the grab bag added at the end of The Oculus from Wrath to convince people to do something. It’s not a bribe, it’s incentive. 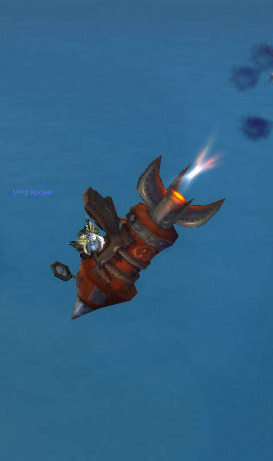 Gives people a reason to want to tank – for example: making it a dual spec, rolling an alt. Extra rewards are bind to Battle.net account, so the rewards aren’t just for that character. (Hopefully) fills roles which are needed in the queue at the time, reducing wait times all around. Throws money at the problem without fixing the overall issues – the tank is the expected leader of the group, whether they know the instance or not giving extra pressure. Increases chances of getting tanks who aren’t ready for heroics – their item level might be high from other gear, no clue how to tank. DPS will never get the extra reward – likely it will be tanks most of the time, healers rarely. Encourages people to queue solo, as there are no rewards for queuing as a needed class with a group. I personally have my second spec set up for tanking as a bear. I tanked through Burning Crusade and Wrath, and enjoyed it. The changes that came through in Cataclysm made things different, and I wasn’t comfortable with doing it again, but I would like to try. 4.1 has some good changes for bears, which will hopefully make keeping aggro easier for AoE groups. Altogether, I think the Call to Arms system is a good one. I just hope it works as Blizzard intended. I’ve confessed a couple times before that I’m an altaholic. I go through various stages of it, and there have been times where I’ve gone weeks without working on my main for any significant amount of time. I enjoy the different scenery, mechanics, point of view, role… all of these. However, recently I seem to have been doing the exact opposite – rarely ever have I had so many alts with full rested experience waiting to be played. The circumstances haven’t changed much, apart from the fact that I haven’t been raiding much in the past little while due to family stuff. Even before that, I’ve been working on things to improve my main more and more. First it was getting the Therazane reputation complete, since that would give access to good shoulder enchants. 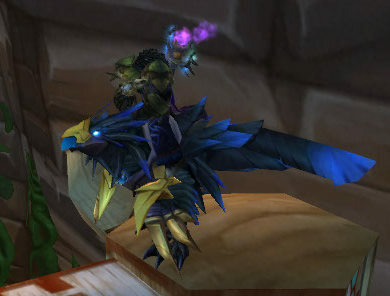 Then it was the Tol Barad dailies, and wanting to get the dragon (because it’s a dragon!). These could be classified as working towards improving my character, as there are benefits that are associated with those repuatations. Unfortunately the same can’t be said of the reputations that came next. I managed to hit exalted with Lower City by doing my daily runs for Anzu, and started up my Ogri’la dailies again after not touching them for a long time. After getting exalted with Ogri’la on two characters, I really hope I never put myself through that again. 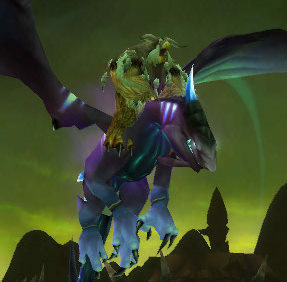 Currently, I’m trying to finish up the Sha’tari Skyguard and Netherwing reputations so I can get some Nether Rays and Nether Dragons to fly – which are both really good looking mounts. These things I’m working on have absolutely no benefit to me in a raiding or progression standpoint. They are things to occupy my time and give me something to do while I watch the rest of my guild do other things that I wish I could be doing. I only do the daily heroic because I need the valour points, and many times I don’t do it because I want a guild group, or I’m listening to see if my son is actually asleep. There are a few alts in particular that I want to level: my shaman, priest, and warrior. The guild has a lack of those three classes and I want to help out if needed, but even though the majority of the leveling is going through new content that I haven’t seen yet, it’s still getting a bit boring. I’m actually enjoying working on my main, and working towards accomplishments that I’ve been wanting for a long time. As with everything, I go through phases. It seems that I’ve run out of stuff to do for new Cataclysm things right now, so I’m working on older stuff. Once I have my new dragons and nether rays, I’m sure I’ll be moving back to the alts again.